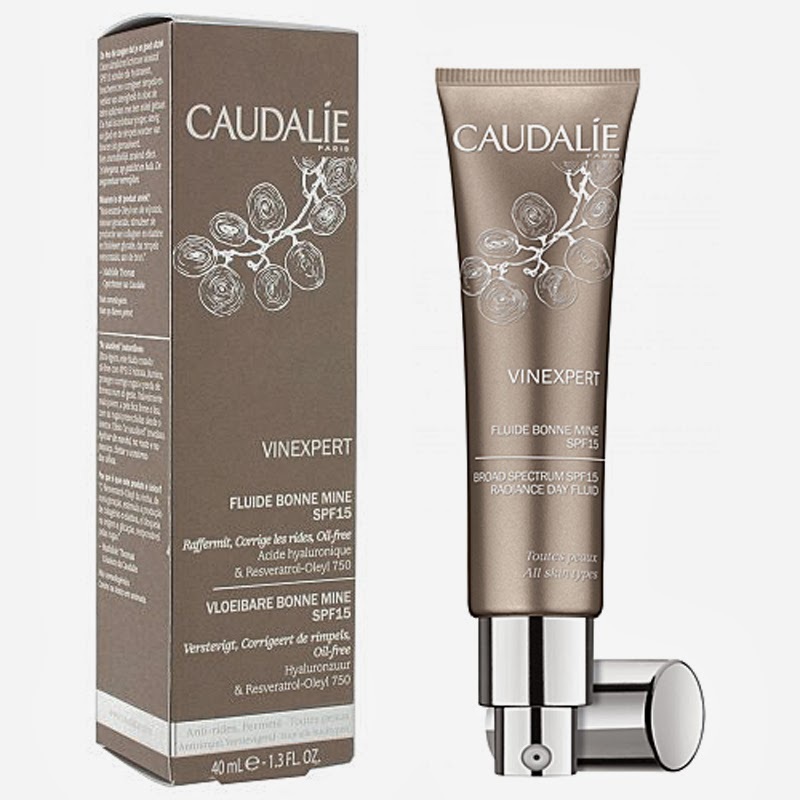 Right before Christmas I got a little pampering session with a Caudalie consultant, and I got to try this produc. Now anything called "radiant" has my name written all over it, so I just had to get it. Now it's time to tell you how I feel about this product. This ultra-light SPF15 oil-free sheer pink fluid hydrates, illuminates, protects while combatting wrinkles and lack of firmness in a single step. Skin is visibly younger, firm and smooth, and wrinkles are filled from the inside. Instant healthy glow effect. The product is a light cream (not really a fluid in the sense it's not runny or very liquid) with a light pink color. The pump is great and delivers just what you need for the whole face. It has a slightly floral smell but nothing that will linger on for too long. On the radiance front, you won't be disappointed: it does give a glow to the whole face, and you can definitely see that there are some light reflecting ingredients in there! On the moisturizing front, this is marketed as being for all skin types, but I sadly don't think it's the case. I've been using it on top of my Nuxe Creme Fraiche serum (targeted for hydration) but the combo hasn't been moisturizing enough for me. I would definitely not recommend this product to anyone with dry or dehydrated skin - the cream version would probably be more suitable for that. But I had opted for the fluid because I don't like a heavy moisturizer under makeup. Other than that, it's a nice little product - bit scented, bit of a long list of ingredients too, which does kill the 'natural' vibe that goes around Caudalie for me. I don't know if I'll repurchase it, but I'll be using it up in Summer when I need less moisture and like to embrace radiance enhancing products.